Spring is here! 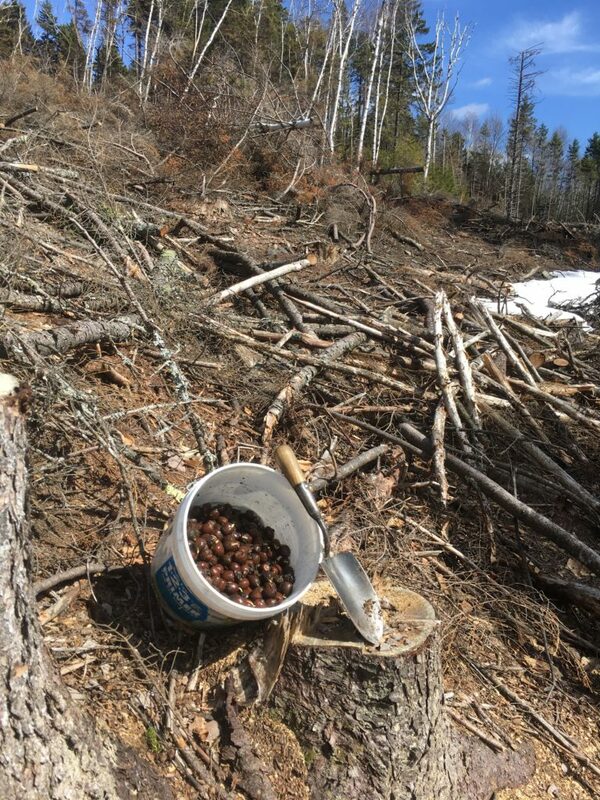 Spring is the time of year that we go out and revisit patch cuts that were cut over the winter, this time, with a bucket full of sprouted acorns. Acorns need a dormant period before they sprout, they are collected in the fall, sorted and buried for the winter. Acorns are a wildlife favorite, to successfully get an oak tree to grow from a sprouted acorn, placement is key. 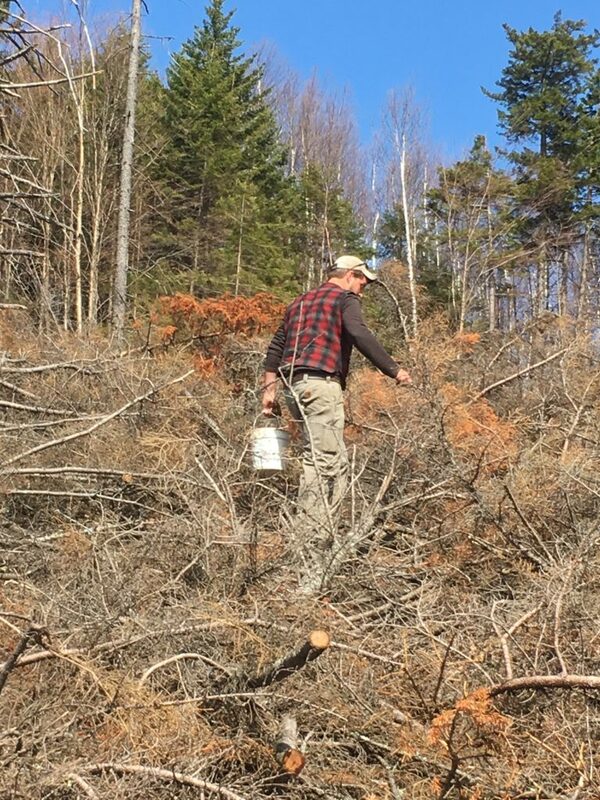 Today, we planted acorns in a spruce patch cut in Bridgewater. Planting is done under the thick tops of the spruce trees that were harvested last winter. Most animals avoid walking through these tops so acorn “predation” is limited, allowing many of them to grow up to little seedlings. As the tops and branches of the spruce tops slowly decompose, they continue to provide protection of the supple buds and twigs of the young oaks. Generally, the higher the brush, the better, to provide protection until the terminal leader and many of the branch buds are above the browsing height of deer. 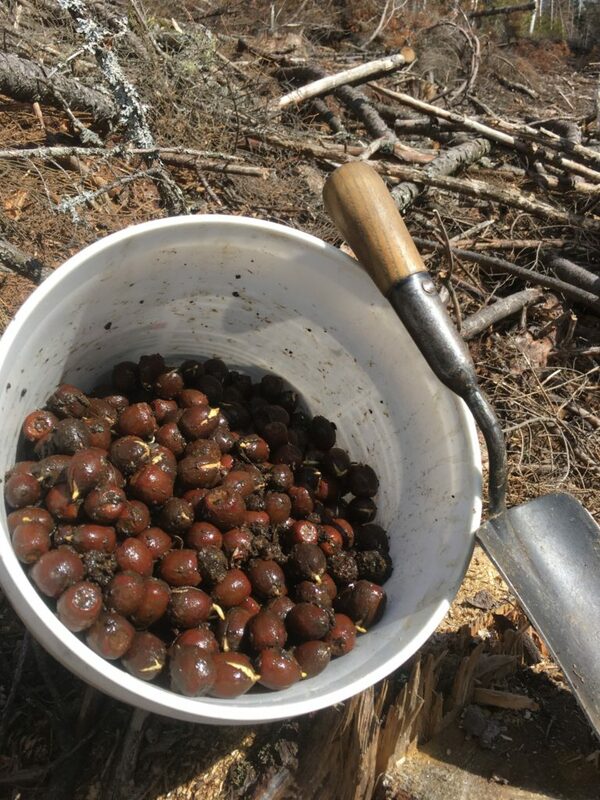 It will likely take 30 years for these acorns to mature to a point that they will produce mast but when they do, many wildlife species will travel great distances to feed on their bounty. This entry was posted in Uncategorized on April 13, 2017 by pbartlett.